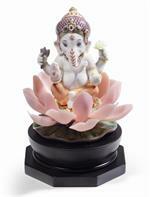 When giving life to these pieces showcasing the brand's creative potential, Lladro's artists found their inspiration in the traditions and spirituality of India. 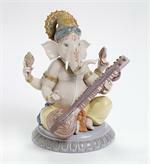 Gods, symbols, scenes from everyday life and liturgical objects are handcrafted with the loving attention to detail Lladro works are rightly famous for. 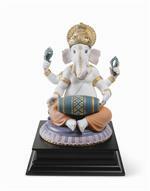 The fascination with one of the oldest religions can be appreciated in the taste for minute details, in the meticulous ornamentation and in the broad spectrum of colors that pays tribute to the wealth of Hindu iconography. 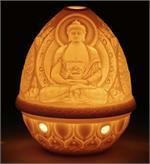 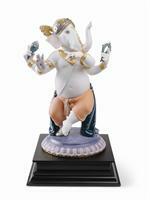 Exclusive creations that are gems in themselves and transmit universal values. 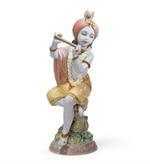 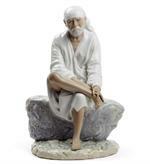 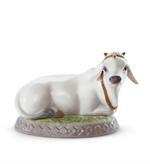 From Lladro's The Spirit of India Collection. 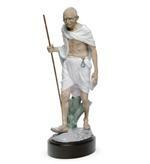 Limited Edition of 3000. 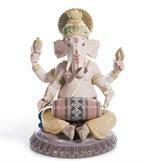 From Lladro's The Spirit of India Collection. 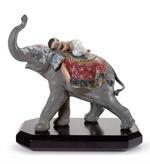 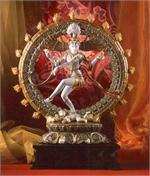 New in 2012 from the Sprit of India Collection. 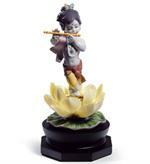 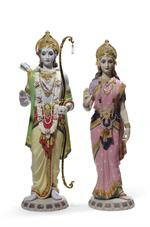 Lladro's new limited edition, Rama and Sita. 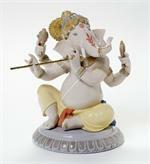 From Lladro's The Spirit of India. 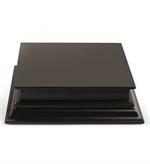 Limiited Edition of 3000. 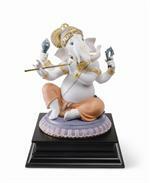 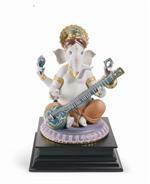 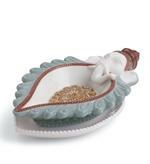 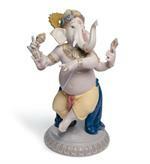 Lladro "Optional Base for Ganesha"